Olympus has unveiled a compact camera that has many of the XZ-2's features in a smaller body. Olympus has revealed a new premium compact camera to sit alongside the Olympus XZ-2. The Olympus XZ-10 features many of the same technologies, packed into a body that's 40 per cent smaller. Perhaps the most important aspect is the bright f/1.8 5x optical zoom lens. This boasts a wide angle point of 26mm (in 35mm format) and the ability to retain a fast aperture of f/2.7 even at the telephoto end of the optic. The camera's 12 million pixel 1/2.3-inch sensor is smaller (physically) than that found on the Olympus XZ-2, which could potentially have an impact on overall image quality. This is something we'll be testing out when we get our hands on a final production sample for a full review. 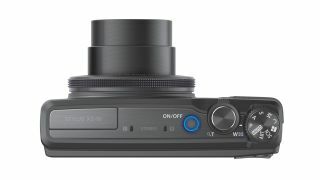 Like the Olympus XZ-2, the Olympus XZ-10 also includes a customisable control ring around the lens for adjusting key settings, such as aperture and shutter speed. A function button on the back of the camera can be used for other commonly used settings, such as ISO or metering. On the back of the camera, you can use a 3-inch touchscreen to set the focus point or trigger the shutter release. Although the camera isn't Wi-Fi enabled, it is compatible with Toshiba's FlashAir Wireless LAN cards for transferring images between the camera and a tablet or smartphone. The Olympus Stylus XZ-10 price will be £349 (around AU$526/US$551) when it is released in March. Read our hands on: Olympus Stylus XZ-10 review.